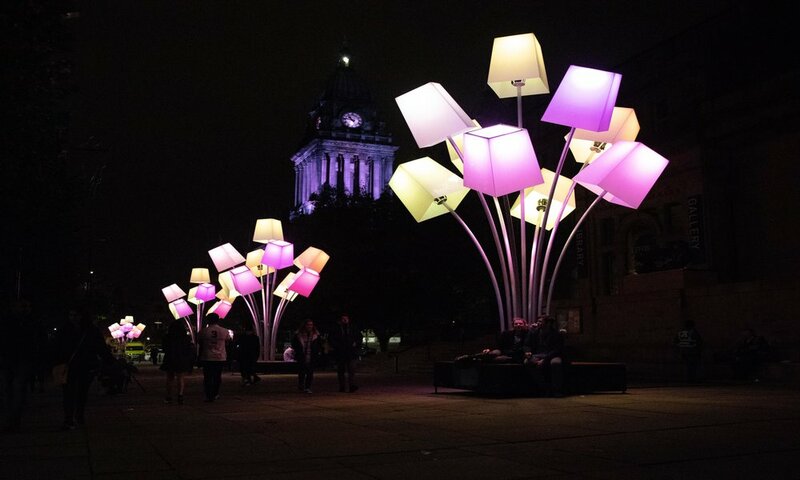 Light Night is one of the UK’s largest annual arts and light festivals, and over two special nights in early October some of Leeds’s most recognisable indoor and outdoor spaces are transformed by spectacular artworks and captivating performances by local, national and international artists. 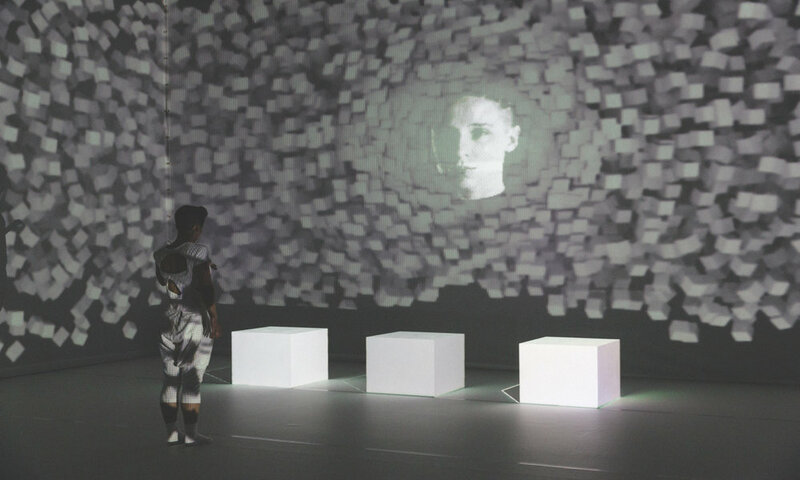 The next edition of the festival will take place on Thursday 10 and Friday 11 October 2019 – more details coming soon! 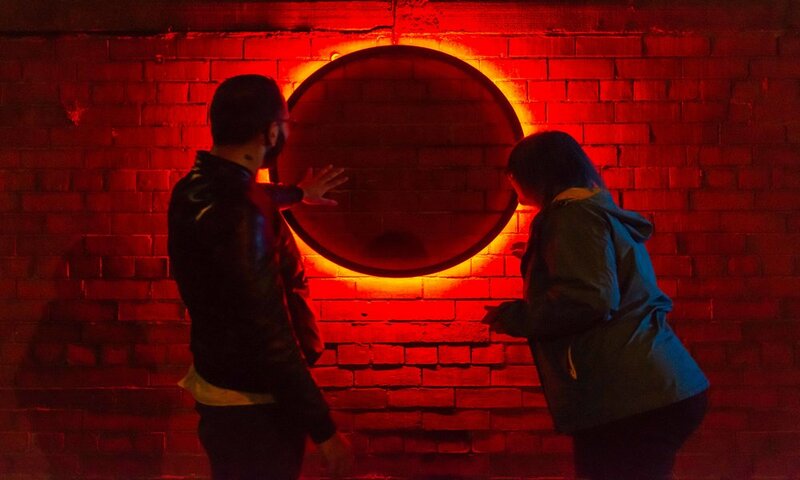 In 2018 over 80,000 people experienced the city in a new light, discovering over 70 art events across ten zones in the city centre; from large-scale light projections and interactive artworks, to music, dance and street performances. 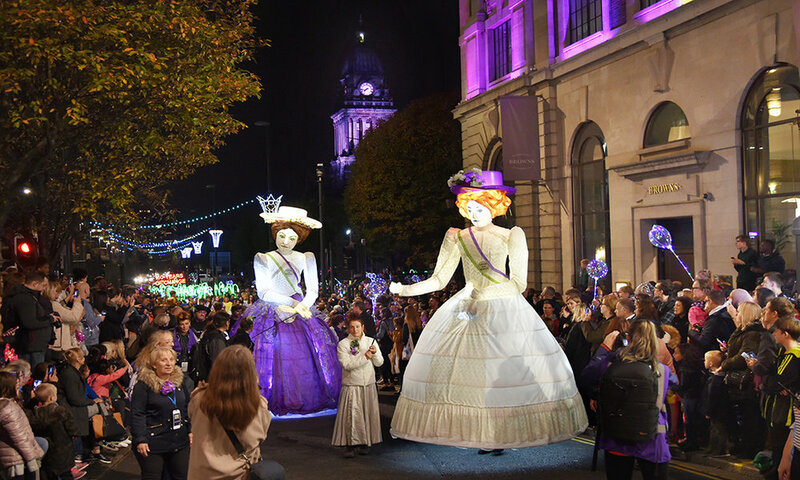 Light Night celebrated the themes of Progress and Innovation, kicking off the festival with a vibrant illuminated parade celebrating 100 years of social change since (some) women got the vote. 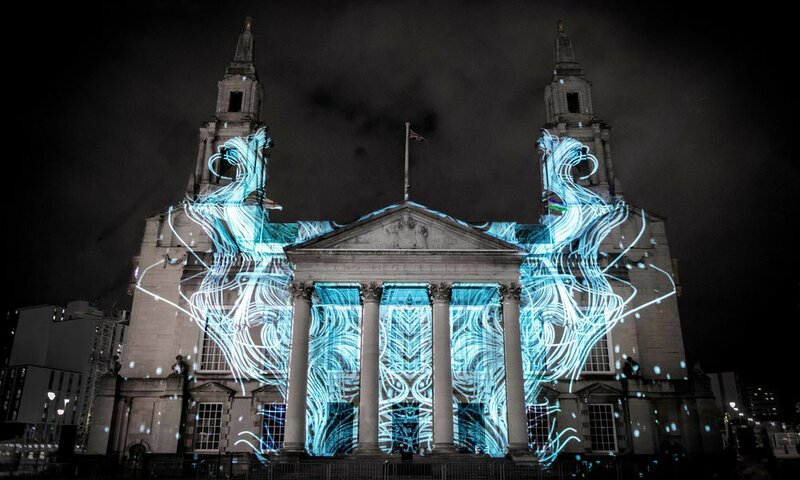 Among the 2018 highlights were an incredible abstract digital projection ‘Chaos’ that used the historic stonework of Leeds Civic Hall as its canvas. 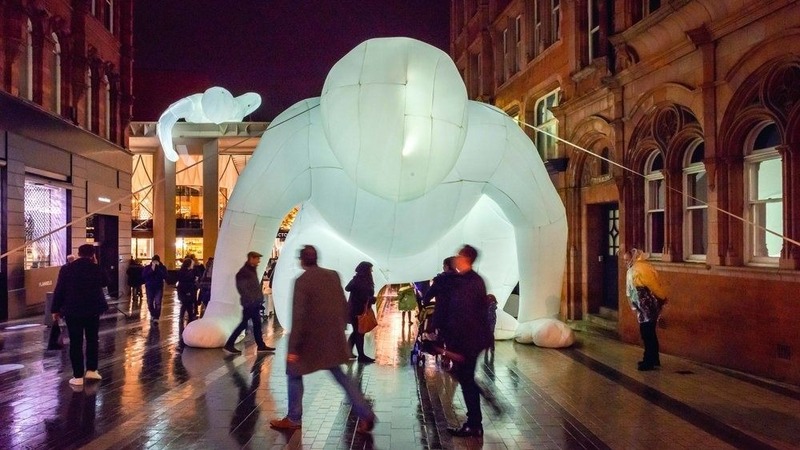 Elsewhere giant illuminated humanoids from artist Amanda Parer’s Fantastic Planet appeared on rooftops and public spaces around the city centre. 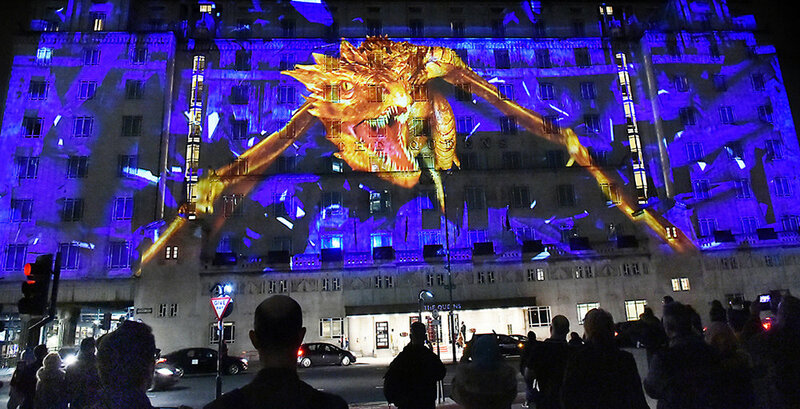 The Leeds Library, one of the city’s hidden treasures, was the backdrop for a celebration of Leeds suffragettes Leonora Cohen and Mary Gawthorpe, and a fearsome and fiery dragon made a spectacular appearance on the Queens Hotel!